Batya Kroopnick was a secular American Jew who knew almost nothing about Israel. Follow her journey. Why would a typical American Jew become interested in visiting Israel? How could a few weeks in a foreign country make a deep impact on a person's soul? Batya Kroopnick took time off from a promising career as a journalist to travel the world. Her trip started in Israel, which moved her so deeply that she chose to stay. 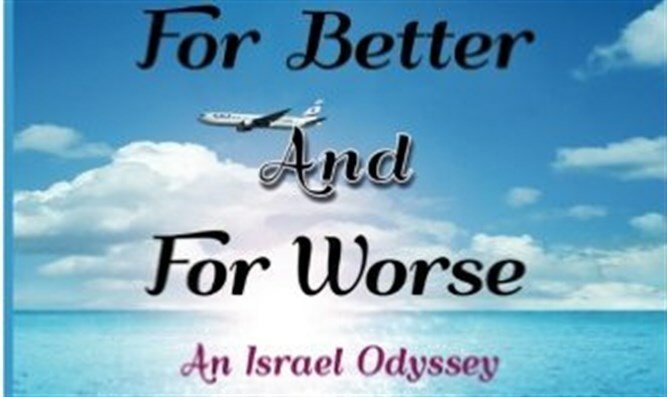 Today Batya has published a fictional novel, "For Better And For Worse: An Israel Odyssey" based upon her personal story. She has lived through many upheavals and joyful moments in her new home country. She describes the people and events in her life with color and passion, making for an imminently readable book about life in this crazy, wonderful land. Tune in to meet an articulate and passionate woman whose positive attitude overflows into the hearts of her readers and listeners.